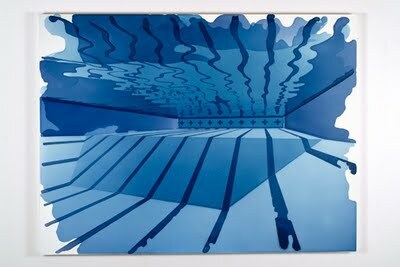 I recently attended an art opening featuring the work of artist Alex Dodge. He's part Forth Estate art collective who was showing that evening. I was fascinated by a great piece he showed that night, The Adonis Plant, and wanted to see more. 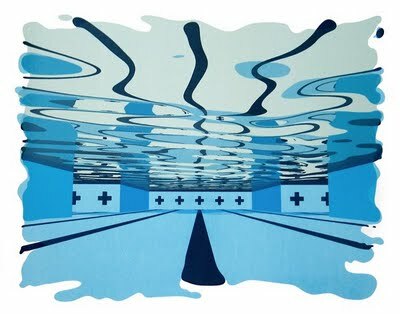 I found this series of swimming pool paintings entitled The Hidden Power of Everyday Things and I love them. 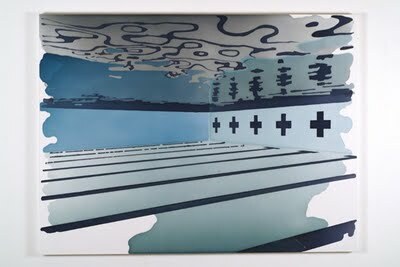 I'm certain it's my personal affinity for swimming pools (though not necessarily Olympic-type pools) and the way it captures the serene feeling of being under water. I also love the title. I could stare at these for hours.